With some teams only having 15 regular season games remaining, and the playoffs on the horizon, it is a time to either relax, step it up, or flat out panic. This year however, the Western and Eastern Conference races are so close, that it is impossible for any team to relax. Even the President’s Trophy race is a matter of one or two points currently. Teams like the Vancouver Canucks and the New York Rangers can put it on cruise control, since both teams are 1st in their respective conferences and are 6-2-2 in their last 10 games. Teams such as the San Jose Sharks and Chicago Blackhawks on the other hand, need to start playing playoff hockey now, or else there won’t be a playoffs for them. 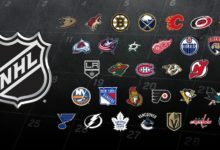 With a coach firing, injuries galore, a veteran goaltender/hockey analyst signing, and much more, this past week has been entertaining to say the least, and has given fans the excitement that this past trade deadline lacked. So with that, let’s get to this week’s edition of WNW. Crosby Comeback: Sid the Kid is still working as hard as ever to return this season. This past week, he practiced fully for the first time since December. His goal is clear: to be back to the Penguins before the playoffs begin in April. Pittsburgh is 8-2 in their last 10, and they could easily be the most dangerous playoff team if Crosby returns. It’s Turco Time: With backup goaltender Tuukka Rask out 4-6 weeks, the Boston Bruins signed veteran Marty Turco to insure a strong finish in the regular season. Turco is 273-165-40 in 538 games for his career with a 2.35 GAA and a .910 SP. The 36 year old St. Ste. Marie native was originally drafted by the Dallas Stars in the 1994 NHL Entry Draft, where he spent 9 seasons. In 2010 the Chicago Blackhawks signed him, and he had his only mediocre season with a 11-11-3 record. He has cleared re-entry waivers. However, since Turco was signed after the trade deadline, he is not able to participate in the playoffs this year. But by that time, Rask should be back and healthy, so Bruins fans have nothing to worry about. Wilson Fired: Many Maple Leafs fans believe this move should’ve been made much earlier in the season by GM Brian Burke. Hey better late than never right? The Leafs organization just foolishly re-signed Wilson at the end of December of last year, so he can kick back and enjoy watching the Leafs miss the playoffs again next season while he gets paid for doing nothing. In 1401 games coached, he is 648-561-101-91. He is 7th all-time in coaching wins, one behind Bryan Murray. Former Ducks coach Randy Carlyle has been hired to the position, after he quickly realized that his drink just didn’t taste right and was abruptly shoved into the trunk of a suspicious SUV by a strange man that looked awfully similar to Brian Burke. Hmm… Anyways…look for Carlyle to help Toronto in their playoff run. 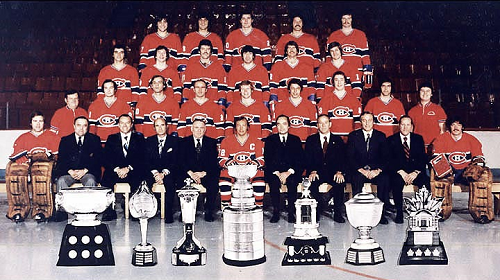 Unlike Ron Wilson…and Paul Maurice, Pat Quinn, Mike Murphy, and Nick Beverley, Carlyle actually knows how to win a Stanley Cup, so look for good things to come out of this hiring by Burke. Take note of that last sentence, because it’s the last time you’ll ever see the words “win” and “Brian Burke” in the same sentence. Also, look for the “FI-RE CAR-LYLE” chants to occur anytime between now and next week. Markov Nearing Return: Injury-prone Habs defenseman Andrei Markov hopes to rejoin the team before the regular season ends, to help his team in the final push for the playoffs. Excuse me, let me rephrase that. He hopes to rejoin the team before their annual spring golf tournament begins. 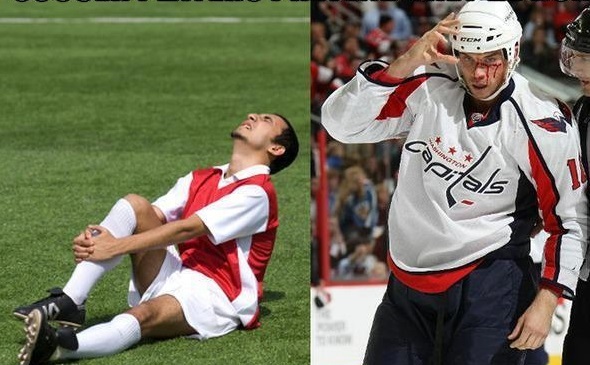 I heard he’s been working really hard on his slap shot, I mean golf swing. When repeatedly asked how many more games he will miss, reporters thought it was odd that every time, his answer was “FOUR!” and that he sternly told them never to talk in his backswing. Alright enough jokes, until next season, when he spontaneously injures himself again. The Detroit Red Cross (I mean Wings): It’s that point in the season again where the Red Wings’ roster takes a team trip to the emergency room, and the entire Grand Rapids Griffin’s team is called up from the AHL, leaving their AHL team to call up their ECHL affiliate Toledo Walleye, leaving their ECHL team to call up the local high schoolers. Ok I exaggerated, a little bit. The list of injured Red Wings includes star goaltender Jimmy Howard, star forward Pavel Datsyuk, star defenseman Nicklas Lidstrom, penalty-kill specialist Patrick Eaves, mediocre defensemen Jakub Kindl and Jonathan Ericsson, and Todd Bertuzzi. But Valtteri Filppula and Nicklas Kronwall are red-hot, and “Big Mac” is back in net. 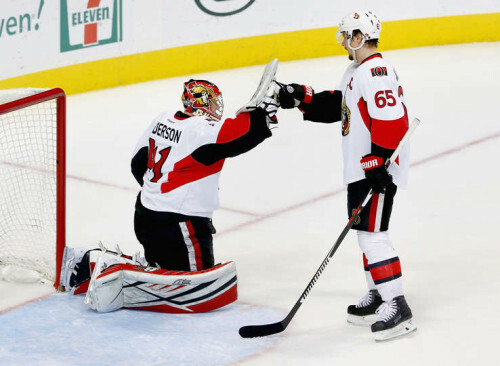 Ben Bishop Called Up: Former Blue Ben Bishop of Binghamton has been promoted to the Ottawa Senators since Anderson’s been out (thought I’d add to the intentional alliteration and also add a clever yet dry pun). Robin Lehner, despite his impressive numbers in his short time with the Sens has been sent back down to the minors. Steve Yzerman: Yzerman has been named the executive director for Team Canada in the 2014 Winter Olympics in Sochi, Russia, even though it is still anyone’s guess as to the NHL’s participation in the festivities. So look for Stevie Y to formulate a possible roster, and then a week before the Olympics, toss it out, and proceed to pull random Canadian minor leaguers’ names from a top hat. 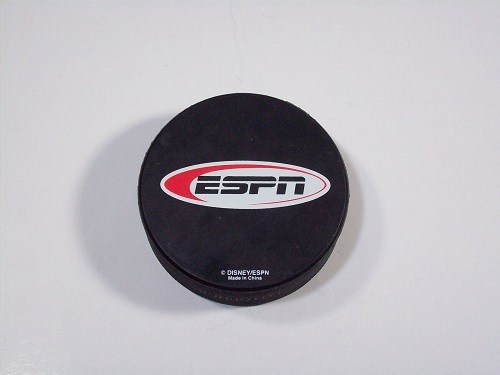 Seto-oopsie: The Minnesota Wild came back from a 4-1 deficit against the Montreal Canadiens in the final 2 minutes of the game last Thursday, scoring 3 unanswered goals (with the game-tying goal coming with just 9 seconds left in regulation) to bring the game to overtime. Devin Setoguchi scored that game-tying goal, and when it was his time to really shine in the shootout, he skated in on goaltender Carey Price, wound up, then proceeded to skid to a halt, and then fall dramatically to the ice as Price left his crease to touch the puck and end the game, the result of what can only be surmised to be a pity win from the hockey gods for their pitiful record of 2-7-1 in their last 10 games played. Mark Howe: Before the Red Wings and Flyers faced off in Philly Tuesday night, Mark Howe’s #2 Jersey was raised to the rafters during his jersey retirement ceremony. His dad Gordie and his brother Marty were both present. Mark was recently inducted into the Hockey Hall of Fame in Toronto this past year, and the ceremony ensures that no other Flyer will ever wear Howe’s #2. Don Cherry: I don’t think any of us saw this coming, but Don Cherry has created a twitter account. We can only hope that his tweets are as colorful as his suits. 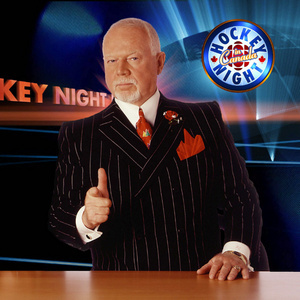 Follow Mr. Cherry @CoachsCornerCBC. His latest tweet reads: “Nothing irritates me more than when you finish shoveling the driveway and the plow comes by [to] block you in!” Maybe Grapes and Burke can exchange a friendly reply to each other once in a while. Or maybe I should stop being delusional and look forward to the inevitable twitter fight that will surely ensue in the near future. I can picture it now, Don Cherry sticking a piece of tape on the caps lock key to ensure that it will stay clicked, while “yelling” at Burke about not having enough Ontario-born players on the Maple Leafs and Burke responding by shutting his laptop (hanging up). Enjoy the rest of your week! Next Article: Fantasy Hockey Fridays, this Friday March 9th.